Right now, there are two widely used mobile platforms in the world: iOS and Android. Microsoft too has been making forays into this field, but its Windows Mobile hasn’t picked up the way iOS and Android have. Of course, it doesn’t mean the platform should be ignored when building mobile apps. Understandably, when you build a mobile app, either something like a stand-alone utility app like Evernote or a complimentary app for your business, you want a maximum number of people using your app and hence, you want to build your app, if not for all possible platforms, then certainly for iOS and Android. Aside from deciding which platform you need to build your mobile app for, you also need to decide whether you want to go for a native app, a progressive web app or a hybrid app. So far, an app building platform that could accommodate development for both iOS and Android had been lacking. 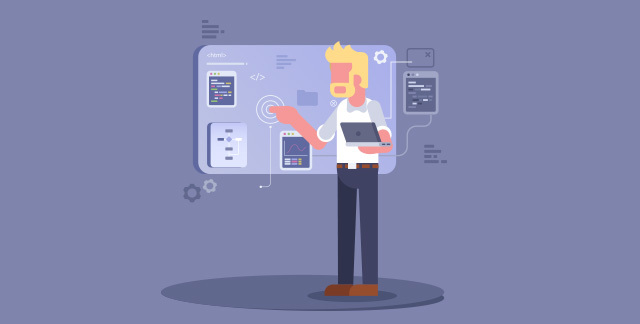 Depending on which platform is chosen, the development team has to use technologies like Java, Swift, Android SDK and Objective-C, just to name a few. The more platforms you want to cover, the more types of mobile apps you want to develop, the greater number of technologies you need to deal with. Consequently, developers need to maintain two codebases, or even multiple codebases, not just to deliver high-end applications to multiple platforms, but also to provide future updates and patches. React Native takes care of these challenges. 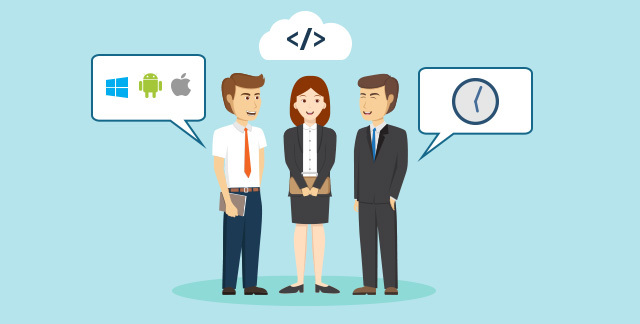 Recommended Read : Native mobile app or mobile web app: what is best for your business? The biggest attraction that React Native has is that it allows you to build mobile apps using a single set of libraries and components for iOS as well as Android. Initially available just in iOS, now it is also available on Android, VR, and Universal Windows Platform. At the time of writing this, 95% of the codebase is shared between iOS and Android. Some of the well-known apps developed with React Native are Facebook, Instagram, and Airbnb. Other apps that are built completely or partly with React Native are Skype, Pinterest, Walmart, Tencent QQ and Vogue. React Native more or less functions on the lines of React, which was mostly for web components. The difference is, instead of HTML, React Native targets native UI widgets and components. Is It Possible To Build a Mobile App For All Platforms In One Go? Take React Native out of the picture and you may say that no, the technology that enables you to build a mobile app for all platforms in one go does not exist. Bring React Native into the picture, and yes, you can build a single mobile app that seamlessly works on multiple platforms – that is, you don’t need to build multiple apps for multiple platforms. It enables you to provide your mobile app on different platforms because the building blocks in React Native are treated as native components. They are directly compiled into the native languages of iOS (Objective-C) and Android (Java). How is React Native Different From Other Cross-Platform Tools? Cross-platform mobile app development tools, as the name suggests, enable you to build your mobile app for multiple platforms using a single development environment. So far, most of the cross-platform have been used to developed web mobile apps and hybrid apps. Native capabilities have been lacking in these cross-platform tools such as Xamarin, Ionic, Cordova, Sencha Touch and NativeScript. Conventionally, making your mobile app compatible with different platforms can be a big challenge. You may have to develop different versions of the same app for different mobile platforms. This results in having to write the code in multiple languages. React Native makes the task non-repetitive. A single piece of code can be used for multiple platforms. This means a single piece of code is needed to test and run your mobile app on different platforms. This also helps when you are testing the app. Usually, if the same app needs to interact with itself, but on different platforms, there is no need for the app to be active on both the platforms. Since the app will be interacting with the designated API that is common to both (or multiple) platforms, testing and making changes is faster and easier. You don’t need to debug, compile and run the same app repeatedly under different environments. Releasing updates is normally a lengthy process. Once you have updated a mobile app, you need to submit the change to the respective app stores (Google Play and Apple App Store) and then users have to manually update the apps. The React Native platform takes care of routinely updating your app via “over the air” (OTA). You can use the “Publish” feature of React Native to send the update directly to Amazon S3 and the update is asynchronously downloaded to the user’s device even when the user is interacting with the app. The next time the user uses the app, he or she will be using an updated app. Hence, you can completely pass over the app stores to send out routine updates to your users. 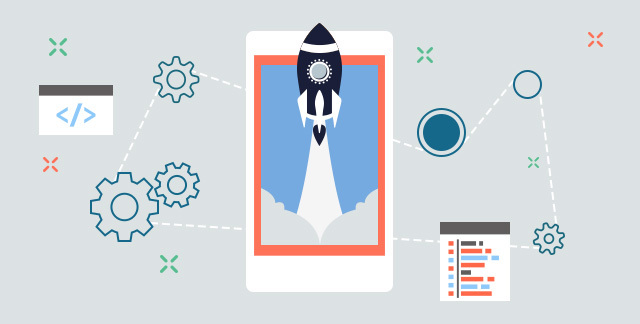 Recommended Read : Does Your App Need An Upgrade? A big community is involved in maintaining and developing the structure of React Native. In fact, it was started as a hackathon back in 2013 within Facebook offices to create an advertising platform. Seeing its success, it was released for the general public, just for iOS. Seeing its further success, it was also then made available for Android and other mobile platforms. Different platforms have different native capabilities. Since it is not sometimes possible to reinvent the wheel each time a functionality is needed, most of the apps enhance their capabilities through native capabilities. React Native has “Native Modules” for different platforms. Remember that React Native derives most of its capabilities from React, a development technology primarily for building web-based one-page apps. So, all the debugging and error-handling features that were available for Chrome and Safari, are also available when you are working in React Native. 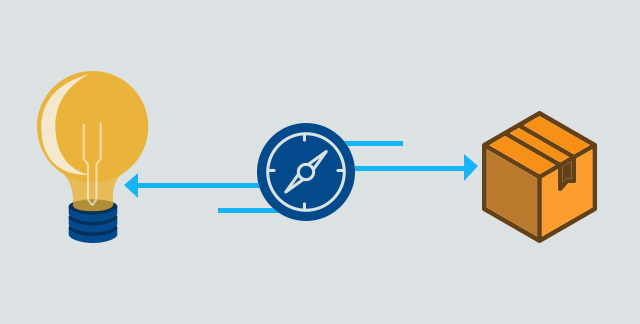 React Native brings speed and agility of web app development to your native app development. Developers get to use the popular ReactJS UI library from Facebook that was originally developed for web applications. Each time you need to test some new feature of your mobile app, all you have to do is, refresh your browser. When designing a cross-platform mobile app, creating a user interface that smoothly works on all mobile devices is often a very big challenge. This is where React Native proves to be a big asset. Due to asynchronous processing, the various elements of the mobile app can be separately loaded without waiting for the needed components to activate, making navigation and transition from one screen to another very fast. Now, what would a multi-platform mobile app development tool be without the ability to use declarative APIs? These are self-sufficient APIs that simply do the job. It doesn’t matter if you want a module to be run on an iOS device or an Android device, you simply tell the API what you want to do and it does it. In simple terms, developers tell these APIs what they want to do, and not how to do it. Then, it is up to the APIs how those jobs are done. Traditionally, when you have made some changes to the code of the app, before you can try it out, you have to compile it (if you’re doing it for the first time) or recompile it to see the changes in action. Time-to-market is the time that you need to release your mobile app into the market so that your target users can download and install it and start using it. When you work with React Native, the time to complete the app is significantly reduced, especially considering the fact that you can make your app for almost all major platforms at the same time. Declarative APIs and absence of the need to recompile each time you make changes makes the development of the app extremely fast. There are many reasons why React Native enables even your small development team to build a big or a comprehensive mobile app. The other advantage is that for all platforms, you don’t need separate teams. If you work in a non-React Native development tool, you will need to develop apps for different platforms separately, requiring more developers. But with React Native, a single team can build highly sophisticated mobile apps for different platforms in one go. Recommended Read : Should You Hire an In-House Development Team or Outsource? This is mostly due to the decorative style of coding in React Native. Every function and every module is explicitly named and declared, which is easily understandable to the system as well as the developer. By merely having a look at the code you can understand what it is going to achieve for you rather than having to first render it and then find it out. According to Facebook, React Native gives you 60 frames per second. This enables apps to function smoothly on iOS and Android devices. The React Native architecture is specifically designed for building apps for mobile devices. 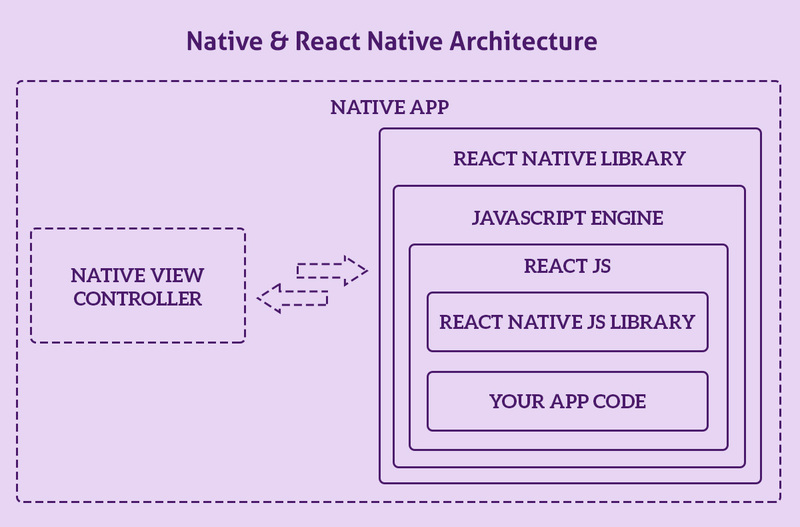 Unlike other native web development platforms that mostly rely on the power of the central processing unit (CPU), since React Native is mostly UI-driven, it derives its power from the graphics processing unit (GPU), which makes React Native-rendered UI elements extremely fast. Server-side rendering means all the material is prepared on the server before it is downloaded and displayed onto the device or the browser of the user. React Native makes server-side rendering seamless due to the features it has inherited from React. But in the case of server-side rendering, whatever processing needs to be done, it is already done by the time the information is displayed on the user’s screen, making the interface fast and smooth in the process. How Much Does It Cost To Hire a React Native Developer? As is the case with any technology, how much a React Native developer costs you depends on the scale of your project, the expertise required and the duration for which you plan to hire a React Native developer. As mentioned above, a good thing about React Native is that you can develop mobile apps for multiple environments: Android, iOS, and Windows. Minus React Native, you may have to hire developers for all the environments because the programming languages and technologies used by Android, iOS and Windows are different. For example, if you want developers to make the Android version of your mobile app, you need people who are adept at Java. For iOS, they will need to know Swift and Objective-C. For Windows, a developer may need to know C++. Having said that, a lower-end React Native developer may cost you $ 45 per hour. A higher-end React Native developer may cost you $ 110 per hour. Recommended Read : How Much Does it Cost to Build a Mobile App? What Are The Challenges That You May Face With React Native? Of course, there doesn’t exist a platform or a technology that is perfect. React Native is a great mobile app development technology, especially because it allows you to create your mobile app for different operating environments in a single go, but it has some limitations. Third-party libraries and APIs are missing sometimes. Since React Native needs to cater to multiple platforms, it may need to make some sacrifices when it comes to rendering complicated UI elements and animations. Consequently, these features are not a strong point of React Native. 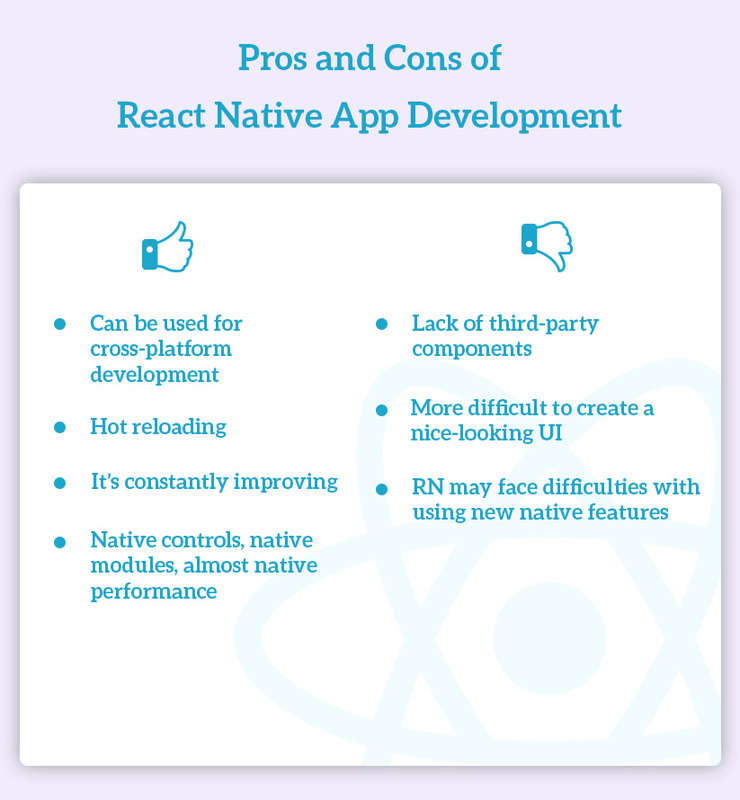 React Native certainly has its pros and cons as mentioned above. Cross-platform development – build mobile apps for Android and iOS without having to build separate apps as is the case with non-React Native technologies. Many native controls and native modules are available with a React Native, helping it to perform well in native environments. A strong community constantly adding libraries and documentation. React Native, being a young development technology mostly dependent upon the community involvement, lacks third-party components integration. Native UI and animation capabilities may be lacking yet. Should You Switch To React Native? Well, you should certainly give it a try. It has a long list of pros – reasons that you should adopt it for mainstream mobile app development, and a few cons, that are quickly being made up for, by the developers themselves. At AlphaLogic it is always our effort to provide cutting-edge mobile app development services to our clients and in that pursuit, we are always embracing technologies that help us work efficiently and perform better, and then ultimately, deliver the apps our clients deserve. Hence, we are successfully using React Native to build great mobile apps. If you want to learn more about our React Native development services, we will love to have a chat with you. Just give us a call or shoot us an email. 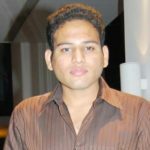 Dhananjay (DJ) Goel is the CTO at Alphalogic, passionate about technology, startups, game of thrones and coffee. He enjoys working on challenging problems with innovative startups.